As discussed briefly at last night’s meeting, here is the info on the Leyton Ladder. 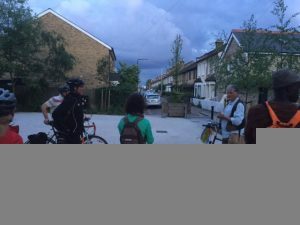 Newham Cyclists Issues of Interest Aug 2017. 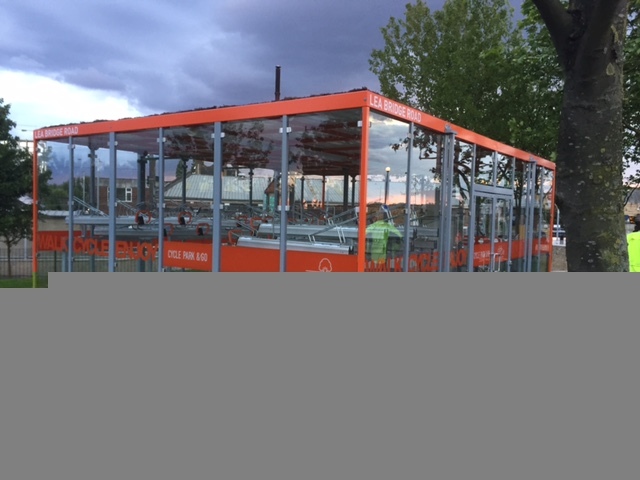 The long awaited Cycle Strategy is being updated in the light of TfL’s recent analyses of strategic cycling routes which include a number going through Newham. It will start to go through the process for formal approval. There was unlikely to be a large bid for Liveable Neighbourhood funding as the assessment is that TfL will consider that Newham has already had a large slice of the cake. As for Stratford Gyratory the responses to the Freedom of Information Act requests concerning the dropping of proposal for 20 mph are below. 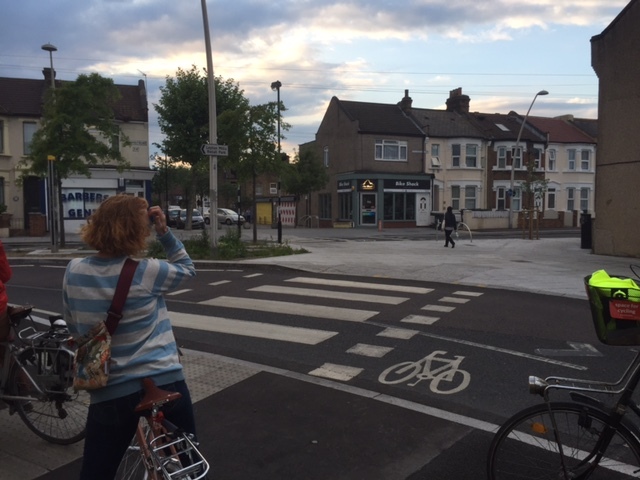 20 mph was identified in the consultation by the Council as a “key improvement”, supported by 92% of respondents to that consultation; but mysteriously disappearing without a trace in the scheme as approved by the Cabinet in May. The Council now claim that there was “no decision” to drop this aspect of the proposal. 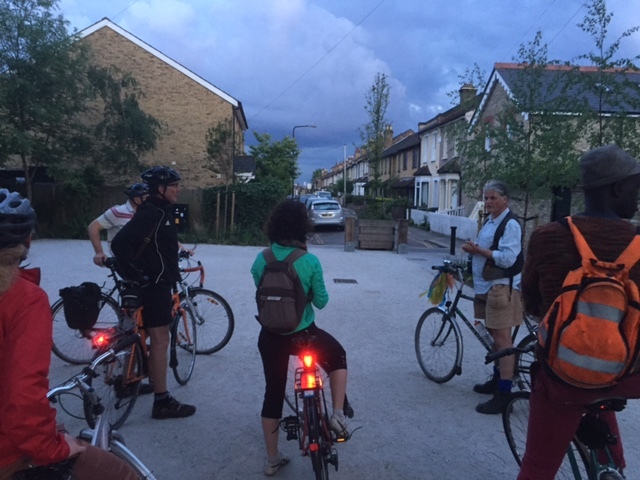 On 13 June Newham Cyclists met Councillor Patrick Murphy, the new Delivery Lead Councillor for Environment, who includes cycling in his his portfolio. This is progress as his predecessor showed a marked disinterest in cycling, or even antipathy. Although not a cyclist himself Councillor Murphy appreciated the benefits that increasing cycling (and walking) in Newham could bring to its residents and referred in particular to the need to improve air quality. The benefit of positive participation by Newham Council in TfL Living Neighbourhoods/Healthy Streets initiative. Councillor Murphy had met Will Norman, the Greater London Commissioner for Walking and cycling that morning. In doing so he passed to Will Norman some observations from us on strategic and cross borough walking and cycling issues (see below) on which we hope to get a reply. We understand Newham Council was waiting for further guidance from TfL before formulating its bid for resources. The imperative of the Newham Council adopting a cycle strategy (at present a cycle strategy remains only a draft document) to feed into its other work and build cycling into its early plans. 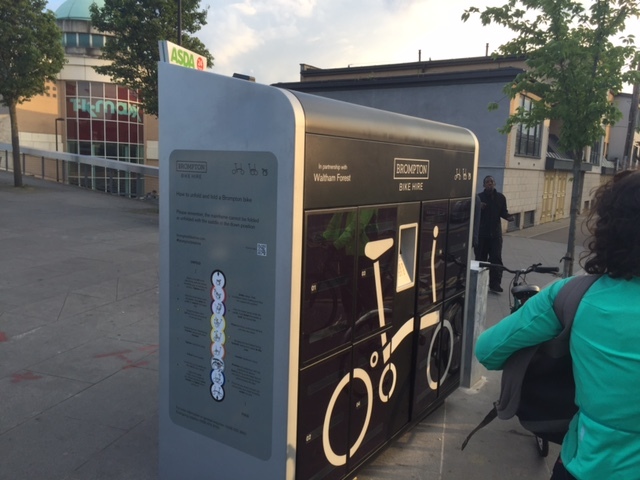 The need for coherence in establishing decent quality cycle and living neighbourhood, projects which will ultimately link up throughout the borough and with other boroughs, such as Waltham Forest’s mini-Holland initiatives. 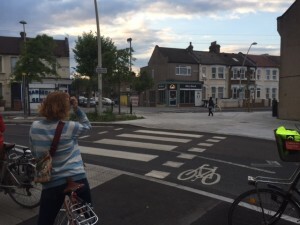 The need for Newham to take development opportunities to improve the cycling and walking infrastructure as Waltham Forest Council have done to significantly supplement the mini-Holland money it has received from TfL. Councillor Murphy indicated his willingness to hear further from us on specific matters. “Newham Cyclists would welcome active and wholehearted participation in TfL’s Living Neighbourhood initiative. Newham Council’s mini-Holland bid includes some excellent plans and there is scope for achieving a critical mass of added value by linking with, and expanding on, neighbouring Waltham Forest’s successful schemes – for example the link from the remodelled Stratford Gyratory (for which the plans are good) to Leyton via the “Leyton Ladder” or creating areas without through traffic in the areas of Newham adjacent to proposed Waltham Forest “Villages”. CS2: (a) there is an the urgent need to upgrade the dangerous Warton Rd and Carpenters Rd junctions, and (b) Tfl should not abandon its original plan to extend CS2 to Ilford. The former is an example of poor TfL design. Whilst the Greenway upgrade demonstrates good design and is a clear improvement (with the notable exception of the continued embarassment of the traffic light sequencing on the A13), Quietway 6 across the north of the borough will not be fit for purpose unless the junctions are adequately dealt with. 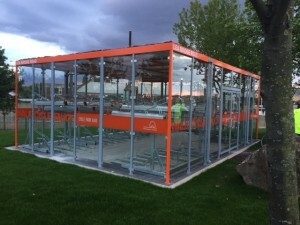 At present plans for a number of these would result in “critical fails” for general cycling, and therefore will put off less confident cyclists for whom the quietways are intended. Future Quietway programmes could help alleviate the critical strategic issue in urban Newham of north south connections. LLDC have not done a good job in creating cycle facilities to realise the potential of the Olympic Park as a node for cycling with access to the Lea Valley (north and south) Victoria Park and Epping Forest (e.g via a good quality QW6). In particular the predicted issue of rat running through the Olympic Park appears to be is coming to pass and will likely increase -especially if Bridge H14 is upgraded to vehicular traffic as planned. Important areas for better connectivity remain (a) the Lower Lea, (b) the Leyton Ladder (see above) (c) to Redbridge where connectivity could be improved by extending CS2, by linking QW 6 and the Roding Way to Ilford via a bridge north of the Romford Rd (c) a bridge south of Little Ilford Park at Millais Ave (which we understand Redbridge Council is keen on) and (d) CS3 link to Barking Town Centre. 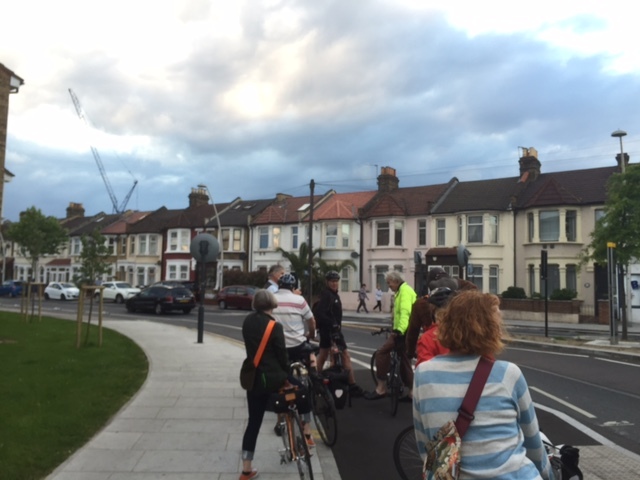 On 15 June Newham Cyclists met with a Maryland Resident’s Group to discuss the Council’s proposals for Maryland. That group was lively and included some keen cyclists. 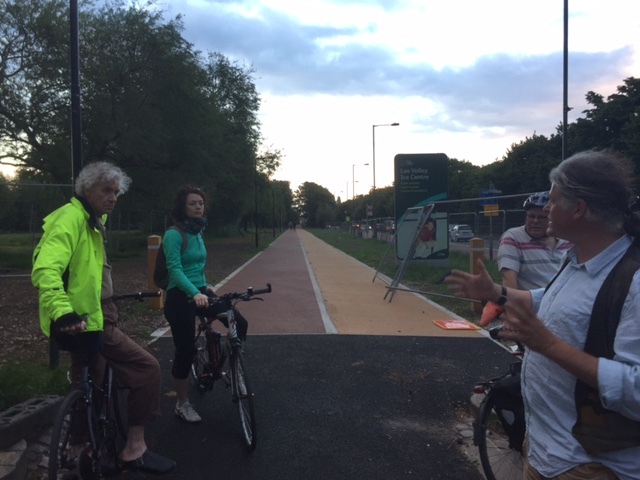 They were very receptive to our suggestions (for improving the junctions, to improve the pedestrian experience and to ensure coherence with the Stratford Gyratory Scheme. However from that meeting emerged some disturbing information indicating that the Council were backtracking on 20mph for the Stratford gyratory (and elsewhere in the borough on what it classified as strategic routes) leading the Maryland residents and us to expect the Council also to row back from its consultation position of 20 mph in Maryland.